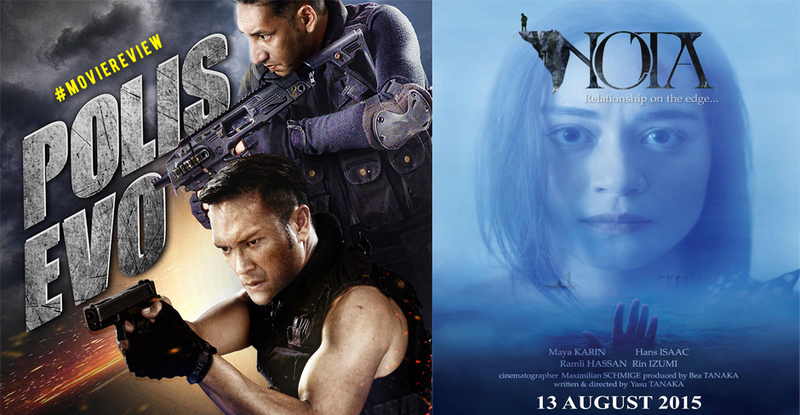 What has caused a wave among the local film scene lately has been the nominations for Festival Filem Malaysia 2016, mainly the dissatisfaction expressed by netizens and screenwriters that box office hits such as ‘Ola Bola’ and ‘Jagat’ were not included for the Best Film category for the sole reason that the dialogue used in those films were not completely Bahasa Melayu. Although many spoke around the themes of racism as the panel had continued to maintain the separate category for non-Bahasa Melayu films and how unfair it is to judge a movie based simply on the language used, maybe there are more underlying reasons that our attention is simply diverted from as we are too focused on the segregation. Here are 3 things you might need to consider when talking about how this year’s nominations for the 28th edition of Festival Filem Malaysia came to be. 1. 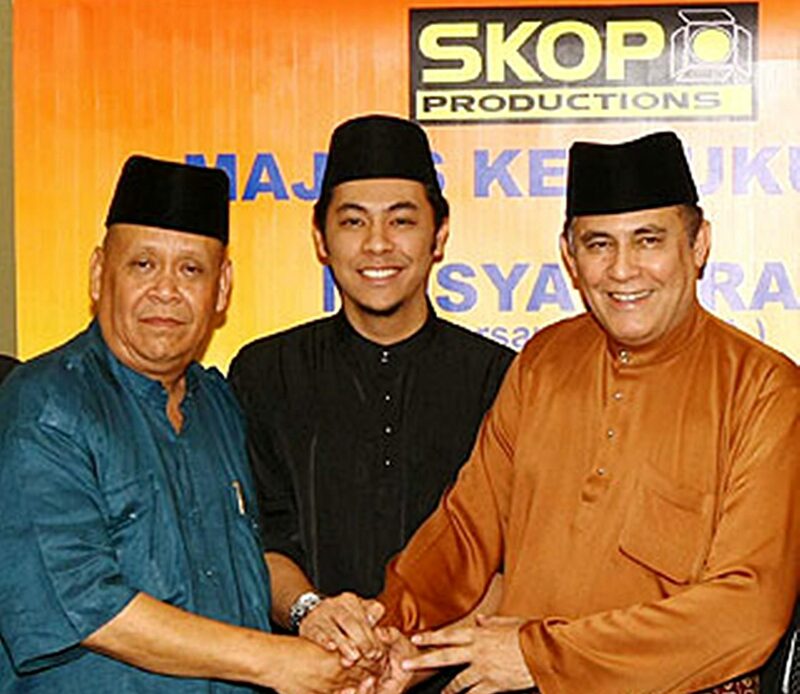 SKOP Production honcho Yusof Haslam had a hand in the nominations. Seeing as the nomination screening procedure is supposed to be handled by both PFM (Persatuan Penerbit Filem Malaysia), and FINAS (National Film Development Corporation Malaysia), it is to be expected that both would have a say in the candidates finalised for these categories. 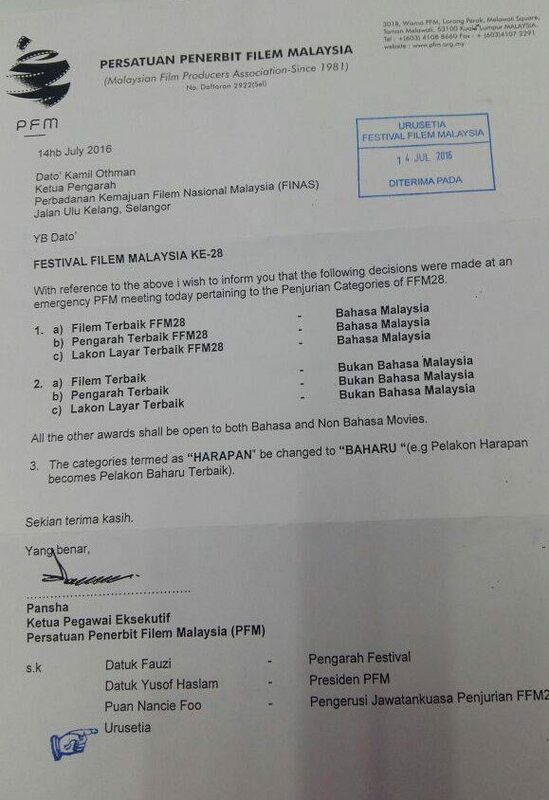 However, DailySeni has uploaded a picture of a letter addressed to FINAS Director-General Dato’ Kamil Othman announcing that it was PFM’s decision to split the categories into Bahasa Melayu and Non-Bahasa Melayu. 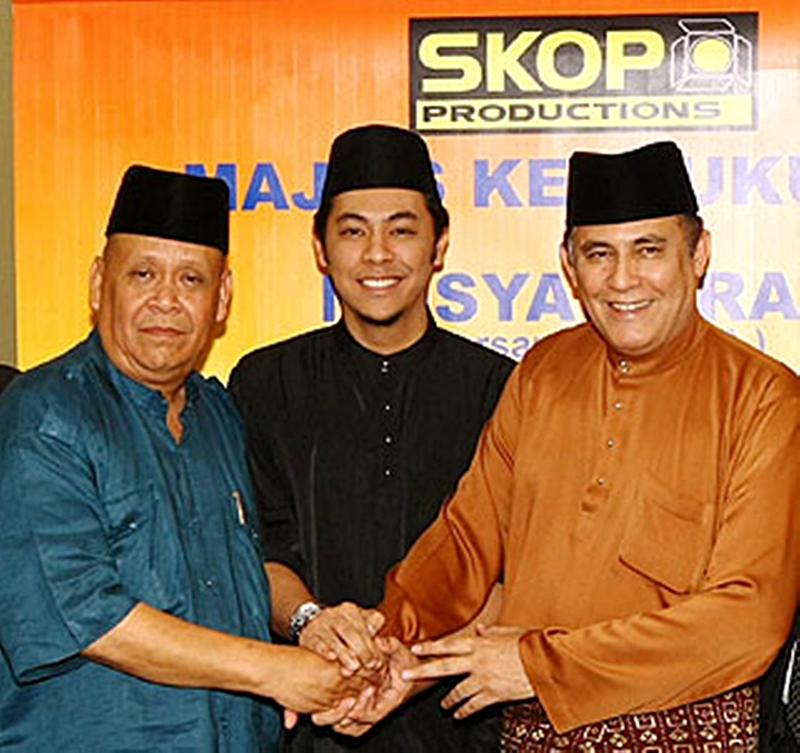 Yusof Haslam, who is the Managing Director of SKOP Production, was listed as one of the members involved in that decision and coincidentally, there are 2 movies placed in the Best Film category that were produced under the SKOP Production label. 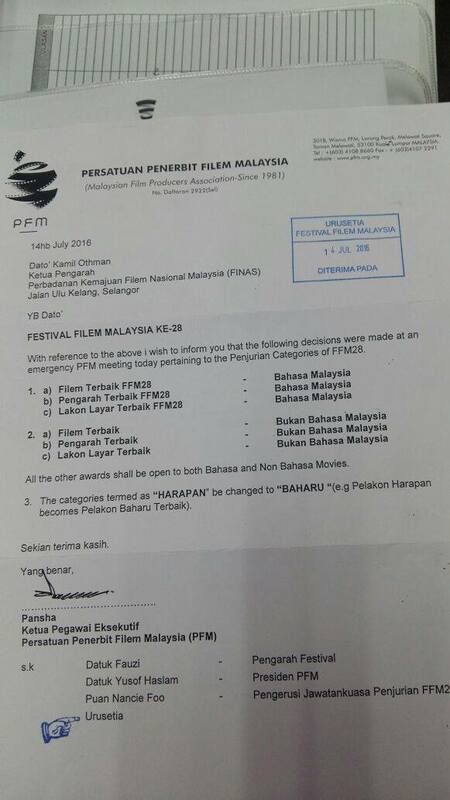 Seeing as how PFM was behind the segregation of categories, Jagat director, Shanjhey Kumar Perumal, has also requested PFM to clarify on the ruling that states local films must have 70% Bahasa Melayu dialogue in order for it to be qualified for the main Best Film category. “From our research, we found that Akta Perbadanan Kemajuan Filem Nasional Malaysia 1981 (Act 244) does not touch on the usage of the national language in the making of a film. 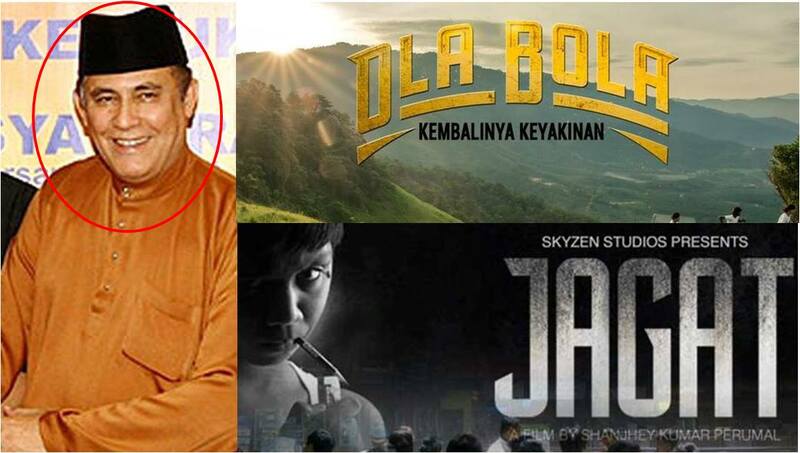 In fact, there’s no definition of what truly constitutes a national movie, or a Malaysian movie,” read the press statement issued by Shanjhey. Root For These 3 M’sian Teams In The Amazing Race Asia 5! 2. There are 28 categories but the entire nomination list consisted only of 27 movies. Just for comparison, the Oscars and Academy Awards have 52 categories and over 100 movies nominated. The numbers just don’t seem to add up, which begs the question: could it be that our local film industry just lacks the resource to create more movies to provide more variety or are there undiscovered movies out there that aren’t getting enough recognition because these bigger production companies are overpowering them? To put it into further perspective, ‘Ola Bola’ has received 14 nominations from those 28 categories, Polis Evo has 10 nominations and Munafik has 9 nominations. And out of these 28 categories, 10 of them are dedicated to the people behind the movie instead of the actual film. So it’s safe to say the winners that may emerge from this ceremony probably wouldn’t surprise a whole lot of you. 3. Most of the movies nominated fall under the same genre or have similar themes. I understand that following the trend and adhering to what consumers want to see is a huge factor when creating films, but how is that most of the nominations fall under a similar genre or theme? The Best Film category itself has three nominations that revolve around the ‘action’ theme where the general plot and story is predictable. Where’s the variety? It’s films like ‘Jagat’ that explore a more in-depth and mature theme that grabbed the audience and is partly the reason that so many are surprised it is not categorised under ‘Best Film’ for the direction of the story it took. The local film scene seems to already have a formula of a story that they just switch the actors for the characters and then they claim it as a different movie. So food for thought: is it our fault as consumers that we keep going to watch the same kind of movies? If that’s so, that’ll be what production companies believe can generate revenue. Or, is the fault of production companies who seem to be getting lazier with their plots and stories, so they stick with the ‘safe’ route? We as consumers need to ask ourselves that before we can take a step forward.